Description Nanaomycin A is a selective inhibitor of DNMT3B. 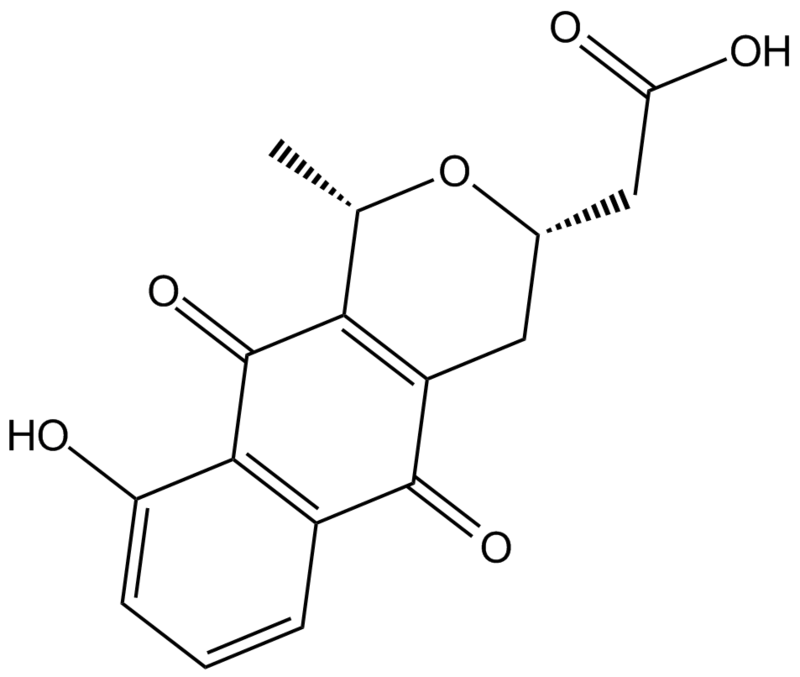 Nanaomycin A, initially identified by a virtual screening for inhibitors against DNMT1, as a compound inducing antiproliferative effects in three different tumor cell lines originating from different tissues. Nanaomycin A treatment reduced the global methylation levels in all three cell lines and reactivated transcription of the RASSF1A tumor suppressor gene. In biochemical assays, nanaomycin A revealed selectivity toward DNMT3B. The therapeutic effect of nanaomycin A and siccanin against experimental cutaneous Trichophyton mentagrophytes infection in guinea pigs was investigated. Topically applied formulation of nanaomycin A was very effective in improving the condition of lesions and in preventing fungal growth in the infected tissues. 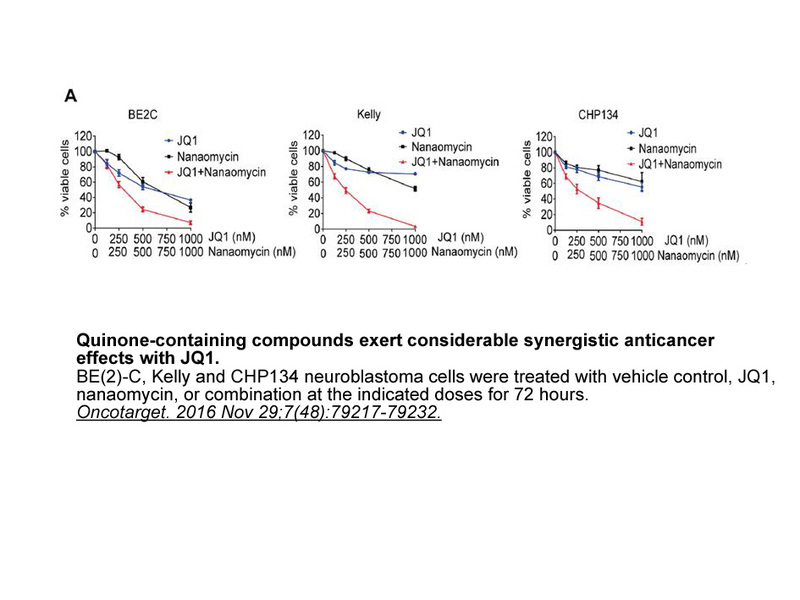 Nanaomycin A and siccanin were comparable in activity in experiments. 1. Kuck D1, Caulfield T, Lyko F et al. Nanaomycin A selectively inhibits DNMT3B and reactivates silenced tumor suppressor genes in human cancer cells. Mol Cancer Ther. 2010 Nov;9(11):3015-23. 2. Kitaura K, Araki Y, Marumo H. The therapeutic effect of nanaomycin A against experimental Trichophyton mentagrophytes infection in guinea pigs. Kitaura K, Araki Y, Marumo H.
Nanaomycin A is a selective inhibitor of DNA methyltransferase 3B (DNMT3B) with IC50 value of 500 nM . 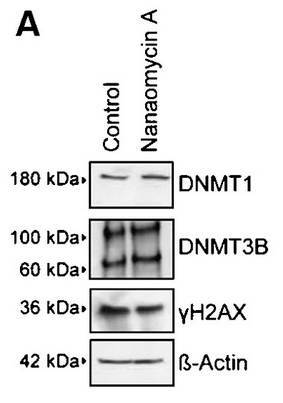 In the biochemical in vitro methylation assay, Nanaomycin A showed selective inhibition of DNMT3B but not DNMT1 although it was docked to the catalytic domain of human DNMT1 in a multi-step docking approach. 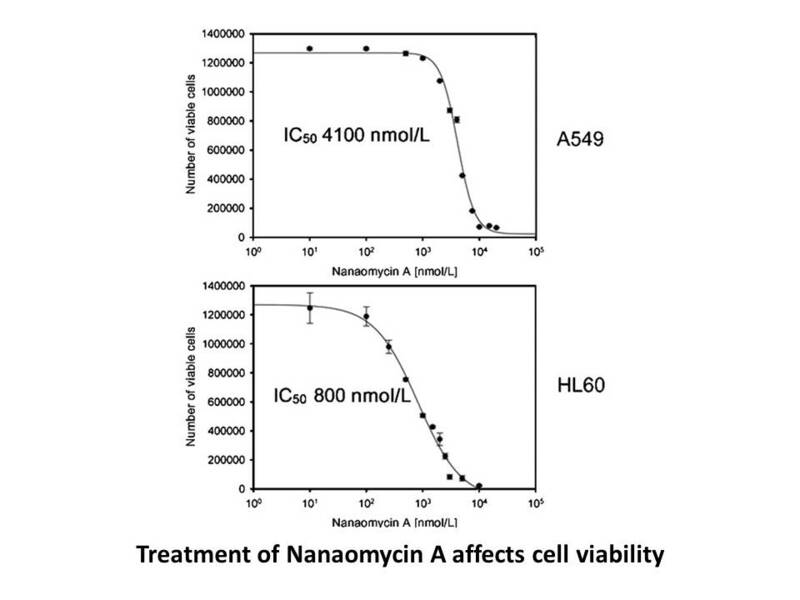 Nanaomycin A showed cell viability inhibition in HCT116, A549 and HL60 cells with IC50 values of 400 nM, 4100 nM and 800 nM, respectively. It decreased the genomic methylation level of these cells significantly. Besides that, Nanaomycin A treatment resulted in demethylation of the RASSF1A promoter in A549 cells. The demethylation caused by Nanaomycin A reactivated the transcription and expression of a silenced tumor suppressor gene . Kuck D, Caulfield T, Lyko F, et al. Nanaomycin A selectively inhibits DNMT3B and reactivates silenced tumor suppressor genes in human cancer cells. Molecular cancer therapeutics, 2010, 9(11): 3015-3023.